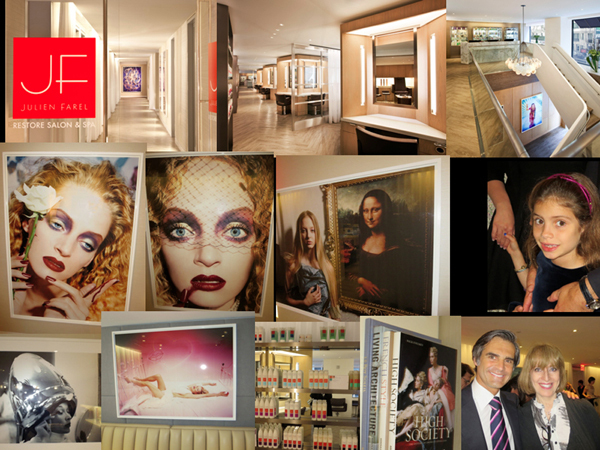 Posts Tagged "Meyer Davis Studio"
Home » Posts Tagged "Meyer Davis Studio"
The luxury hairstylist Julien Farel opens the luxury salon, all 10,000 sq feet of it state of the art, in the newly renovated luxury hotel, Loews Regency Hotel on Park Avenue. The Julien Farel Restore Salon and Spa “meets the demands of morning warriors” and opens at 7 am (by appointment) and features 32 custom-designed cutting stations, VIP rooms for their who’s who clients, “Power Beauty” services, for both sexes, of everything. It’s all very French and very elegant. And very big. Photos: top three, courtesy Julien Farel … All except bottom right, by Helen Oppenheim. Great photo bottom right, unknown.